This chapter scrutinizes the causes of the contemporary financial crisis and assesses the notions that drive to the very core of capitalism that may have the potential to cause such crisis. It assesses several issues that have also backed to the economic disaster. The Islamic interpretation of such factors is offered to show how an Islamic economic and banking system might help to carry the stability that the world desires seriously. Bagsiraj, M. I. (2009, January 4). Financial and Economic Crisis an Alternative Indian Approach. Radiance Viewsweekly, XLVI(38). http://www.radianceweekly.com/137/3039/GLOBAL-MELTDOWN-Its-Viable-Alternative/2008-12-14/Cover-Story/Story-Detail/Current-Financial-Crisis-and-Islamic-Economics.html. Downloaded on January 5, 2009. Bank for International Settlements. (2008, April 7). Report of the Financial Stability Forum on Enhancing Market and Institutional Resilience. http://www.fsforum.org/publications/r_0804.pdf. Boeri, T., & Guiso, L. (2008). The Sub-Prime Crisis: Greenspan’s Legacy. In A. Felton & C. Reinhart (Eds. ), The First Global Financial Crisis of the the 21st Century. www.voxeu.org/index.php?q=node/1352. Cecchetti, S. G. (2008a). Sub-Prime Series: Part 3: Why Central Banks Should Be Financial Supervisors. In A. Felton & C. Reinhart (Eds. ), The First Global Financial Crisis of the 21st Century. www.voxeu.org/index.php?q=node/755. Cecchetti, S. G. (2008b). Sub-Prime Series: Part 4: Does Well-Designed Monetary Policy Encourage Risk-Taking? In A. Felton & C. Reinhart (Eds. ), The First Global Financial Crisis of the 21st Century. www.voxeu.org/index.php?q=node/758. Cecchetti, S. G. (2008c). Federal Reserve Policy Responses to the Crisis of 2007–8: A Summary. In A. Felton & C. Reinhart (Eds. ), The First Global Financial Crisis of the 21st Century. www.voxeu.org/index.php?q=node/1048. Chapra, M. U. 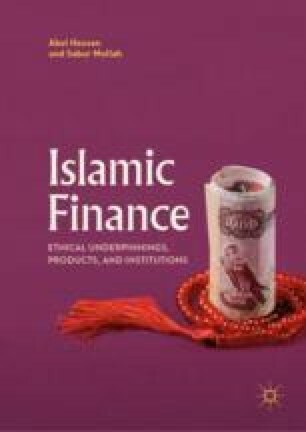 (2009, January–March), Global Islamic Financial Crisis, Can Islamic Finance Help? NewHorizon (170). http://www.newhorizon-islamicbanking.com/index.cfm?section=archive&action=view&id=81. Downloaded on January 2, 2009. European Central Bank. (2008, January 23). Enhancing the EU Arrangements for Financial Stability. Centre for Economic Policy Research, Keynote Address by Jean-Claude Trichet at the Session “European Financial Supervision, Crisis Management on Financial Markets”. Brussels: European Parliament. www.ecb.eu/press/key/date/2008/html/sp080123.en.html. Podur, J. (2008). Counter Current.Org. http://countercurrents.org/podur161008.htm. Downloaded on December 10, 2008. Sengupta, R., & Emmons, W. R. (2007, June). What Is Sub-Prime Lending? Federal Reserve Bank of St. Louis Monetary Trends. http://research.stlouisfed.org/publications/mt/20070601/cover.pdf. Siddiqi, M. N. (2009, January 4). Current Financial Crisis and Islamic Economics. Radiance Viewsweekly, XLVI(38). http://www.radianceweekly.com/137/3039/GLOBAL-MELTDOWN-Its-Viable-Alternative/2008-12-14/Cover-Story/Story-Detail/Current-Financial-Crisis-and-Islamic-Economics.html. Downloaded on January 5, 2009.